Big and beautiful, the Elephant Box is a lunchbox big enough for a healthy packed lunch. Its deep enough to pack a round of sarnies and plenty more! It's also brilliant for any kind of food storage in the fridge or freezer. Use a marker pen to personalise and keep track of what’s inside! 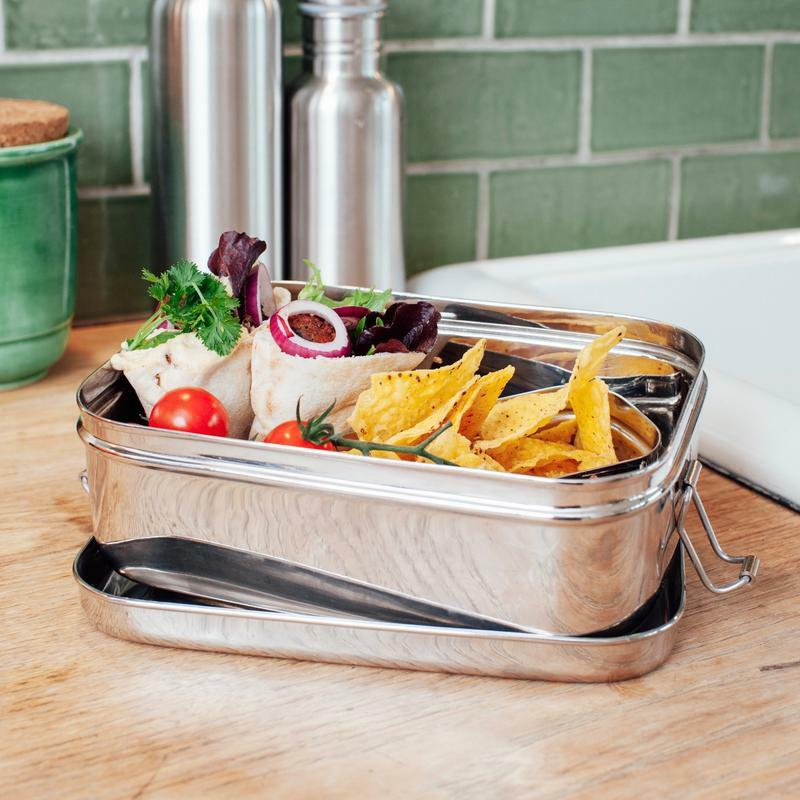 Made from 100% food grade stainless steel and easy to clean and stays that way their whole life. No staining or odours! These products are tough, durable and sustainable. They will be with you for years. They won’t break, and you won't throw them away. 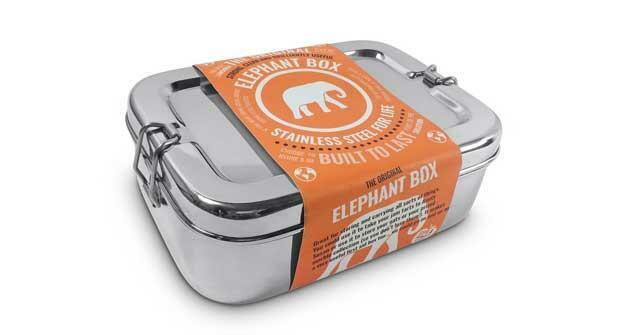 This product is by Elephant Box, their aim is to provide products that are useful, beautiful, durable and reliable and encourage people to buy better and buy less. The products are made in two family-run factories in India where the working conditions are fair and ethical.